Do you know what caught my attention about Szjerdene, first and foremost? Her name. Different. Beautiful. A bit compelling, as well. I wondered what exactly was in store for me from someone with a name so unique. Born and raised in North London, this singer/songwriter came onto the scene with her single “Think It Through.” I think the single speaks volumes and opens up the floor for discussion about just what Szjerdene (pronounced JhurDeen) has to offer. The single is easy-going, light and carefree. Her voice is tender, yet commands attention. Citing Mariah Carey as her sole childhood influence, it’s safe to say that Szjerdene has learned from the best and used everything she learned, to the best of her ability. The distinct presence of R&B is heard, but the pop sounds dominate and stand firm. Also flirting with jazz and soul, Szjerdene has enough chops to make a great impression on you. Upon my first listen, I heard a dash of Corrine Bailey Rae, coupled with the flavour that makes Szjerdene someone to take note of. In April, Szjerdene released a two digital track EP through Plug Research Music, with the jazzy soul-infused “Lead The Way” and “If 6 Was 8.” She was given the good fortune of working with Robin Hannibal from the electronic-soul duo of Quadron. It really can’t get any better than that, can it? You can take the 2 tracks for a spin here. 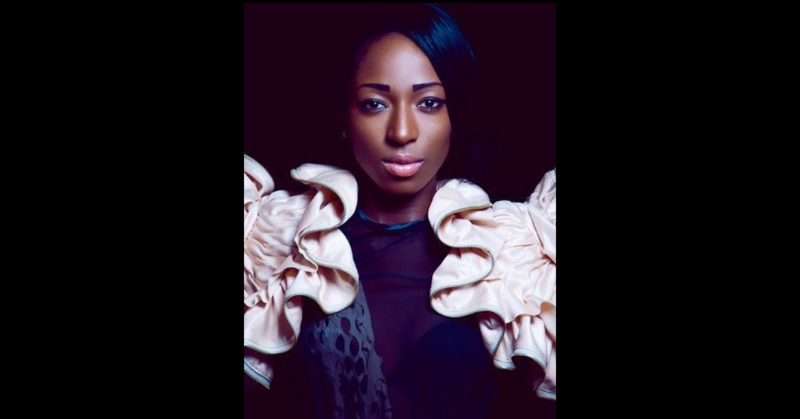 Szjerdene is presently working on her debut album, so stay tuned for more info once it hits the scene. For now, see for yourself what Szjerdene is all about, I’m sure you will not be disappointed.